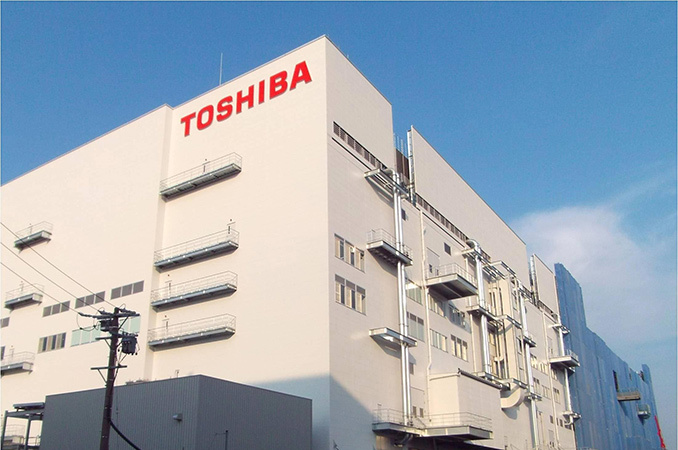 Toshiba Memory Corp., which is set to become independent from Toshiba in a few days, has announced their intention to start construction of a new BiCS 3D NAND fab in July. TMC expects Western Digital to participate in the new project. Overall, this is the latest in a number of NAND fab announcements across the industry in the last year that, at long last, signals surging interest in building additional capacity. The new fab will be located near Kitakami City, Iwate prefecture. By contrast, the existing NAND flash production facilities operated by TMC and Western Digital are located near Yokkaichi, Mie prefecture. Traditionally for Japan, the new fab will feature a quake absorbing structure and an environmentally friendly design, which includes materials used and energy efficient production equipment. Just like the Fab 6, the new production facility will use an AI-powered production system to boost productivity. Toshiba expects to complete the building sometimes in 2019 (most probably in summer 2019 as it takes around a year to construct a fab building) and then start with equipment move-in. This process usually takes two to three quarters, so expect the new fab to come online in 2020, if everything goes as planned. Until the company makes its final decision regarding the manufacturing tools to be used, the actual production capacity of the new fab is unknown. Meanwhile, decisions regarding equipment will be made based on multiple factors, including predicted demand for NAND and Western Digital’s participation in the project. Speaking of Western Digital. Late last year Western Digital announced that it would participate in building the fab in Iwate, but so far, the company has not made any announcements regarding its exact plans on the matter. Toshiba last week announced that it had received all the required anti-trust regulatory approvals regarding its sale of Toshiba Memory Corp. (TMC) to Pangea consortium of investors. The last regulator to approve the $18-billion transaction was China. The deal is now expected to close on June 1, as planned by the Japanese company. The current industry expect 30% of NAND capacity growth. While some of that may come from more 3D layers, even these tiny increase of Fabs will likely not be enough to balance the demand.